I was so excited to find out that a Whole Foods will be opening up close to me within the year. I love Whole Foods but I don’t get there as much as I like because the closest one to me is more than a half hour away. With one opening up within minutes from my house, I’ll be able to enjoy a lot of the products I love that I can’t find in the stores near me now. While I have tried many types and brands of foods from Whole Foods over the years, I have never tried any of their beauty or personal care products from their Whole Body department – so I was intrigued and excited to have the chance to try some out for this review. * Whole Foods Market Lavender Hand Soap and Lotion – these products are made with a natural blend of essential oils leaving skin feeling soft and clean without over-drying. They come in a nice metal caddy that would look great on any bathroom vanity or sink top. I put the caddy in my guest bathroom – I love the look of the metal on the white sink. The lavender scent is light and refreshing and really makes my guest bath smell fantastic. This set would make a great end-of-year teacher’s gift. Both the lotion and the soap contain no parabens, are non-comedogenic, and are both hypoallergenic. This caddy retails for $14.99. 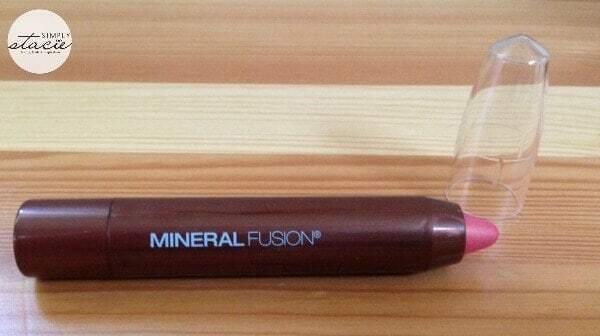 * Mineral Fusion Lip Tint – featured on the Whole Foods Market Blog, this item adds a hint of sheer, pretty lip color with moisturizing cocoa butter in several easily wearable shades. I received the tint in “Shimmer” – which I think is perfect for summer. It’s light and adds just a hint of shimmer to your lips. It’s not sticky or greasy, and glides on very smoothly. I don’t like to wear a lot of makeup on a daily basis, but this is one of those items that will quickly become a staple in your daily routine. It’s perfect for all occasions. These lip tints sell for $9.99 each. * Alaffia Good Bar Soap – also featured on the Whole Foods Market Blog, the Alaffia soaps are made with fair trade shea butter and coconut oil, and 1% of the sales of this soap is donated to the Whole Planet Foundation. So you can be good to your skin and do something good for more than 500,000 women and entrepreneurs in 59 countries around the world. This soap smells wonderful and glides over your skin. 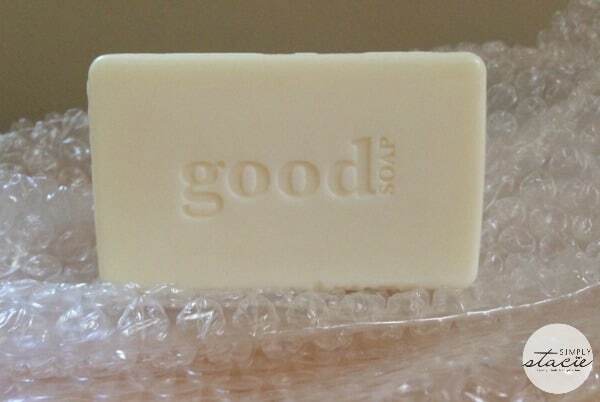 I felt clean and refreshed after using this soap – with no icky residue left behind. At just $2.49, these soaps are a great deal. Whole Foods puts as much care and thought into their Whole Body line as they do for the foods they sell. They carefully evaluate each product and feature those that are free of artificial colors, flavors, sweeteners and hydrogenated oils. They believe the quality of the items and ingredients people apply to their bodies topically is as important as the foods and nutritional supplements they ingest. They only sell personal care products that are not tested on animals (an important quality I look for), and they encourage their vendor partners to use plant-based and naturally-derived ingredients, pure essential oil fragrances, gentle preservatives and non-petroleum ingredients. I’m excited to try out more products from the Whole Body line, and I would encourage you to check them out as well – either for yourself or as gifts for good friends and loved ones. You can learn more about Whole Foods Market on their website. You can also connect with them on Facebook, Twitter, Pinterest, Google+, Instagram, and YouTube. I really want to try the Whole Foods Market Lavender Hand Soap and Lotion, the caddy looks great too (great gift idea). The Alaffia Good Bar Soap is reasonably priced, I’ll have to look for these products next time…. this is perfect for my mom’s bday coming up she loves ALL things lavender! sign me up! I never heard of this company. They have some pretty neat products, I’ll have to check them out! I love that they are made with natural ingredients! I am always curious when stores make their own lines. I’m allergic to lavender, tho so this wouldn’t be on my list to try lol. I love Lavender Hand soap and it smells so good. These are some very good products to get at Whole Foods. I like the color of Lip Tint. It is so pretty. I’ve never been to a Whole Foods because we don’t have one anywhere near us! 🙁 It is too bad because all those products look great! I never knew that Whole Food had their own line of beauty products. That’s amazing. I don’t shop their often but might have to special trip to check these products out. Thanks for sharing your review!! The Alaffia soap sounds great! I plan to try it soon. I love anything lavender! I sure wish we had a Whole Foods within driving distance! 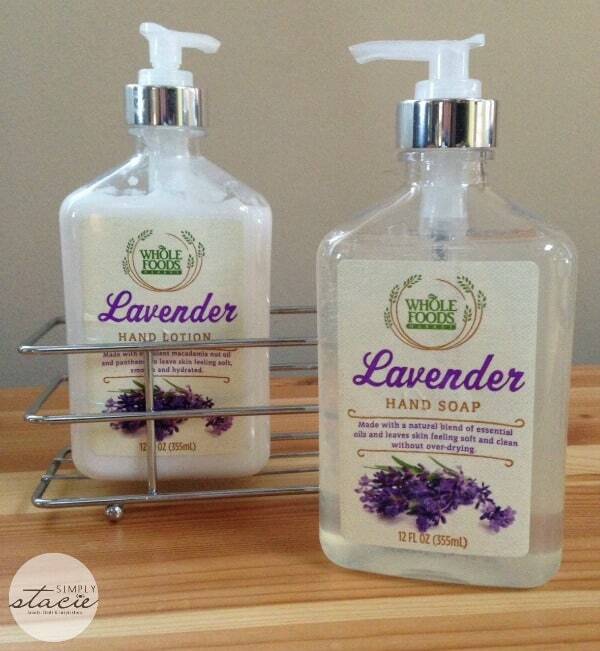 I would love to try the Whole Foods Market Lavender Hand Soap and Lotion. I didn’t know that Whole Foods Market sold bath and body care items, I thought they sold only food. Thank you for sharing this review post. I love whole foods.. i’m gonna have to check this out.. it sounds fabulous. i love lavender. I love the lavender hand soap! Excellent products! I have bought personal care items from Whole Foods! My daughter loves Lavendar hand soap, lavendar anything! I’ll have to tell her about Whole Foods! I love Whole Foods! I can’t wait to try some of these products! I imagine because these soaps are natural, they would not dry your hands out….this is a problem my husband and I currently have with our hand soap. The lavender kind you reviewed reminds me of the kind they have in the bathrooms at Cracker barrel. They smell heavenly and moisturize your hands. And it’s nice to see a lip tint I could actually trust….usually lip tints are made with harsh chemicals that leave my lips feeling gross afterwards…but with the cocoa butter in Whole Foods’ lip tint, I bet theirs would be a different story. I love that it comes in a variety of shades as well!! Forwarding this to my sister and my daughter. THEY are lucky and can shop at a Whole Foods!! The hand soap and lotion sounds amazing! Thank you for your review.